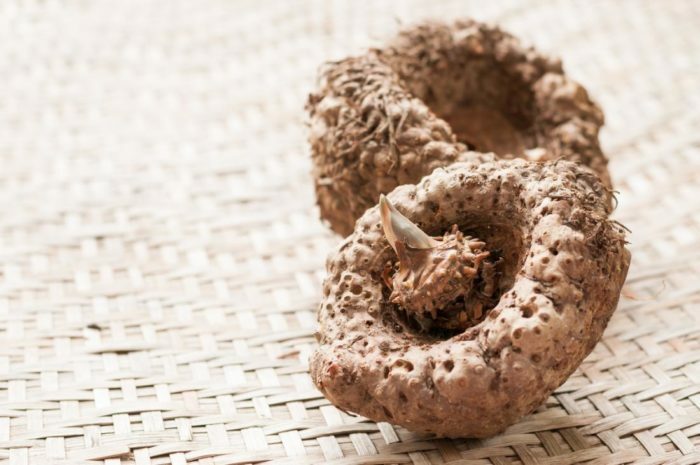 Also known as Konjac root, glucomannan is a soluble fiber commonly used as an appetite suppressant. Weight loss supplements utilize it’s unique properties to control cravings, reduce serving sizes and manage hunger. One scientist even claims it could be the answer to America’s obesity issues . 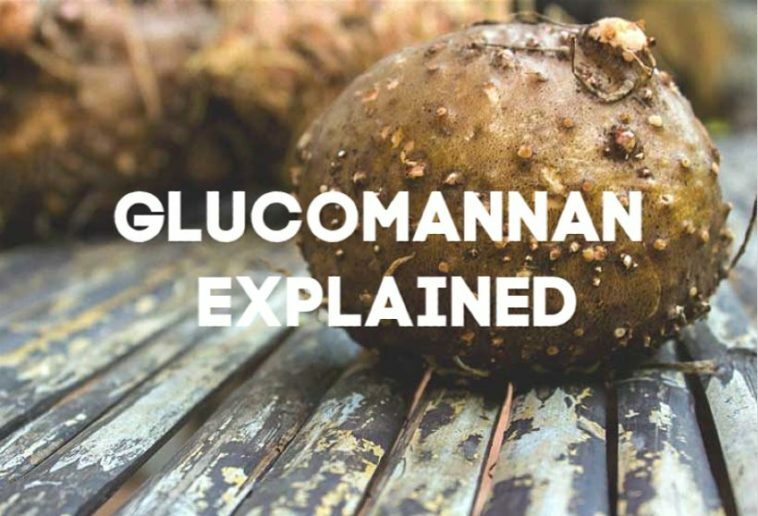 This article looks into the science surrounding glucomannan to assess just how well it aids weight loss and whether it’s safe to use. 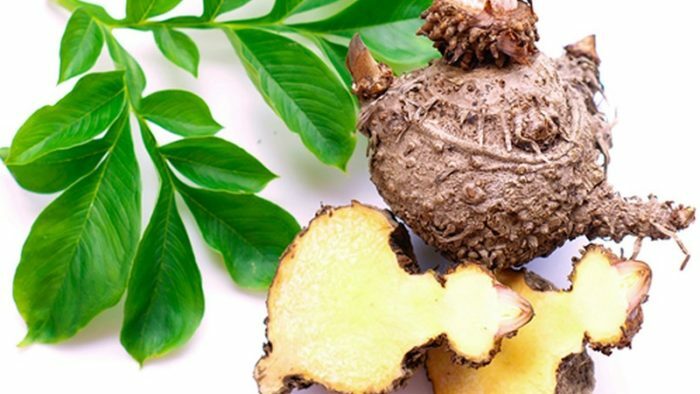 Glucomannan is a soluble fiber, found in the root of the elephant yam plant. It’s extracted from the root and kept in a dry powder form to be used in supplements or within food mixes. Glucomannan is a soluble fiber, which means it absorbs water and thickens into a gel-like substance. It’s this property that makes it such a popular option for weight management aids. When it expands, the fiber fills the stomach, which creates a sensation of fullness that combats hunger cravings. It’s extremely popular in weight loss supplements, however glucomannan is also an additive used to thicken foods. You can find it in some drinks and foods like pasta and flour. Glucomannan is a common face in traditional herbal mixes, along with foods like tofu and shirataki noodles. The elephant yam root is the original source of glucomannan, which makes up around 40% of the root. When extracted from the root, it’s used in various foods and weight loss aids. If you’re looking to use it as a diet support, the best portions are likely to be in supplements over the foods that contain it as an additive. Scientific research has shown that, when konjac root expands within the stomach it can have a positive impact on weight loss . When compared to a placebo, weight loss was much higher in those who supplemented with glucomannan for five weeks . Glucomannan offers a range of benefits that directly influence weight loss. First and foremost, it’s very low in calories, so adding it to your diet shouldn’t interfere with your overall intake. As the soluble root expands into a gel, it creates a feeling of fullness or satiety. If taken before a meal, this can curb cravings and help to reduce your food intake, contributing to more control over portion sizes . The fiber is made up of such a long chain carbohydrate, that your body can’t break it down or digest it. This means it sits in your stomach, slowing the stomach emptying process, which improves satiety for longer after a meal . With glucomannan, the benefits are mostly around weight loss. However, science links it to other positive health changes. Firstly, it has been shown to feed the good bacteria in your gut . This makes for a healthier intestine and, animal studies have shown it can also reduce the likelihood of weight gain . It’s also been linked to lower total cholesterol levels, as it reduces the amount you can absorb . This research has indicated that, because of this, it could potentially lower the risk of developing type 2 diabetes and heart disease. 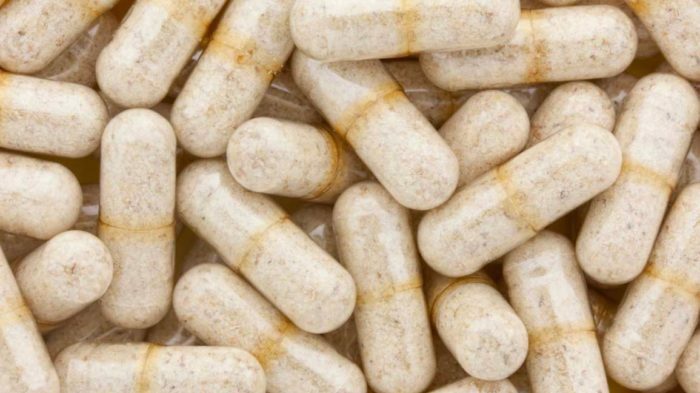 How much Glucomannan should I take? Scientific research suggests that 2-4g of glucomannan a day is enough to benefit from the weight loss properties it possesses . Glucomannan can only influence weight loss when you take it before eating. Science suggest three 1g servings, each taken around an hour before your main meals is sufficient for weight loss . Long term use of the soluble fiber is generally considered safe. Whenever you take glucomannan, you should wash it down with a full glass of water to ensure it reaches the stomach before it begins to expand. Failure to make it to the stomach before it expands could cause choking; however, incidences of this nature are very rare. There are minor side effects associated with glucomannan; including bloating, flatulence or diarrhea. However, these are uncommon, and the supplement is well-tolerated by most people. It’s also worth noting that taking glucomannan alongside certain medications can inhibit their absorption. If you’re concerned speak to your physician about possible side effects. As far as natural appetite suppressants go, konjac root is unrivalled in the world of supplements. Scientific research has linked glucomannan to weight loss and food management on several occasions, making it a clear choice for those looking for more control over their diet and a handle on their cravings.